These top ten ski travel tips are for those planning or going on a skiing vacation. Skiing holiday appeals to people of all ages and skiing ability. Winter vacations are the perfect way to take your mind of everything else during the winter months, and just enjoy physical activities in the great outdoors. You can go skiing in all parts of the world. The US and Europe offer many excellent and well established ski resorts, but you can also find great ski destinations in Asia, Australia and S-America. You can even go skiing in parts of Africa. It is though not only about location. When choosing the right ski destination you need to consider the facilities for the type of skiing you prefer and make sure they are suitable for your level of skiing. 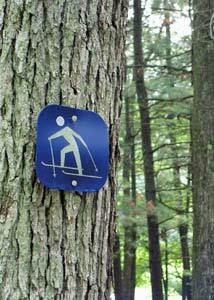 Most ski resorts offer ski trails to suit different skiing levels and cater for more than one type of skiing. The related ski travel guide articles at the end of these ski travel tips offer more information about some popular and best skiing destinations in the US, Canada and Europe. Après-ski is French and “means after skiing”. Après-ski refers to socializing after you have finished your skiing for the day. This is the time to relax with your friends and family or meet new people, which is important part of any vacation. 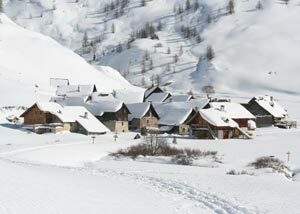 You should therefore check if the après-ski activities on offer are to your liking when choosing your ski destination. Skiing involves intense physical activity. The better physically prepared you are, the more skiing you will be able to do... and the better you will be on the slopes. It is worth spending some time to get physically prepared for your ski vacation. Like going (more frequently) to the gym, or following special ski training program. This exercise program teaches you exercises specially designed to improve your endurance on the slopes. If you are bringing your own ski gear, it is important not to forget anything. You will need your skis, but also your ski poles, ski bindings, ski clips, ski boots, etc. Most ski resorts rent and sell all ski equipments but it is likely to cost you less if you buy and bring your own gear from home. Ski travel tips recommend checking your ski gear carefully prior to going on your skiing vacation, i.e. make sure everything is still working properly and take care of any necessary maintenance. Specialized skiing clothes are ideal for your skiing holiday. You need to be prepared for sudden changes in the weather and the right gear can literally save your life. Ski travel tips recommend wearing Clothing Layers when skiing, as adding and taking of pieces of clothing is the most efficient way to regulate your body temperature. Thermal garments are great as base layers, i.e. the clothes that are in direct contact with your skin. You should wear breathable middle layer, e.g. fleece jacket, on top of the base layer. Then you need weatherproof and breathable top layer, i.e. ski suit, or ski jacket and ski pants. Our travel guide article on Skiing Clothes offers detailed advice on what ski clothes you need for your winter vacation. You also need to bring various Ski Clothes Accessories like ski hats, goggles, gloves, ski socks, etc. Any ski and winter vacations means lots of gear to pack and it is important to use the right luggage for your skiing gear. You can of course rent skis at the ski resort but many skiers prefer to bring their own gear. If you are bringing your own skis, you will need special ski bag to protect them while travelling, whether by car or plane. Ski travel tips recommend hard ski cases, or at least fully padded ones, if you are flying with your skiing equipments. On the other hand, ski bag with less padding is more suitable if you are driving to your ski resorts, i.e. easier to fit them into the trunk of most cars. For more information, check our comprehensive Ski Bag Buying Guide. The International Ski Federation has published 10 rules of conduct, which you should be aware of and follow when on the slopes. The rules of conduct are about respect for other skiers, control of speed, choice of routes, overtaking and entering, starting and moving upwards. As well as rules about stopping on the piste, climbing and descending on foot, respecting signs and markings, obligation to assist at accidents and identification. Bear in mind that drinking alcohol when skiing can affect your control and could therefore invalidate your ski holiday insurance. All responsible ski travel tips recommend saving all alcohol consumption for the après-ski. Ski travel tips would not be complete without mentioning the need for packing checklists. They are always helpful in reducing the risk of forgetting any must have items and remind us of those good to have items. You can download and print our Free Ski Trip Packing List. High altitudes and fresh snow can double your exposure to UV radiation. In the mountains, UV radiation levels increases around 10% for every 1,000 meters (3,300 feet) in altitude. Therefore, you should always use quality ski goggles when on the slopes and sunglasses when off the slopes. Both should be UV400 rated, i.e. offer 100% protection against the UV rays. Follow our Sun Safety Tips and apply special sunscreen for high altitude - generously and frequently. 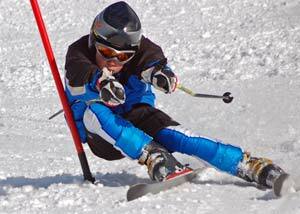 Skiing does involve some risk of injuries, though no more than many other common sports and activities. It can however be very expensive to evacuate an injured skier from a mountain, especially if helicopter or air ambulance has to be involved. 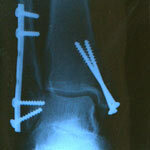 This is why you should always take out comprehensive Ski Holiday Insurance. It can save you serious amount of money if needed. We hope these top 10 ski travel tips are useful and wish you a safe and enjoyable ski vacation. Do you have your favorite ski travel tips? Why not share them and your photos with other readers of our site using the form below. Ski Holiday Insurance - What should your winter sports travel insurance include, read Top Travel Tips ski insurance buying guide to find out. Colorado Ski Vacations - Colorado ski resorts are among the finest in the world. How to find luxury Colorado ski resorts and luxury ski vacation, and where to buy them at discount. Vermont Ski Resorts - are among the best New England ski vacations. How to find the right Vermont ski areas, luxury ski accommodation and best place to buy them at discount. Canada Ski Vacations - include some of the best ski resorts in the world. How to find the right Canada ski areas, luxury ski accommodation and best place to buy them at discount. Skiing Clothes - Comprehensive guide to recommended skiing apparel and accessories, benefits, and which features you should look for before buying online. Ski Luggage - Your ski luggage must include special ski equipment bags and ski bags for your other belongings. Different types explained, benefits of each, and airline ski bag regulations to consider. Ski Trip Packing List - Top Travel Tips free comprehensive ski trip packing list advices what to pack for your skiing vacation. Ski packing checklists ensure you will not forget anything, download and print it out.